It was a dark a stormy night (I joke not) upon my first arrival at JFK. There were swarms of people due to delayed flights because of the weather. I was initiated into New York City living when I was crammed into an elevator with numerous others from all over the world with various travel aromas wafting through the enclosed space. When people began to complain about their fronts being smashed against other people’s fronts, from within the crowd came a New York City accent declaring, “What do you expect? This is New York, New York.” And indeed it was. When I finally reached outside to the line for cabs, it was so long, I was almost cried. Again, amongst the crowd I heard a New York City accent declaring in front of a bus (he was not an employee of the bus company), “We’ve got Manhattan, Manhattan, everybody Manhattan.” It was then I decided to take the bus into the city and not a cab. The ride was long and slow, but at least I had been initiated into the front against-front problem—there were many more to come in crowded subway trains with some not-so-gentlemanly types taking advantage of the situation. . . I ended up moving to Manhattan. 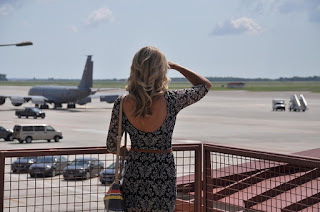 As you might imagine, it is difficult to bring everything you need and want on one flight so my brother-in-law Patrick, who is a pilot, had a flight scheduled to La Guardia and agreed to bring more of my things on the plane. 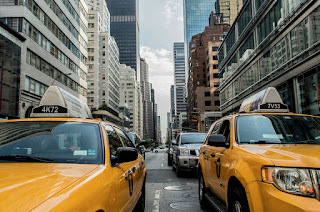 At the time, I was short on cash and was determined not to take a cab to La Guardia; therefore, I decided to take buses and trains via Harlem to La Guardia to pick up my things. Having spent most of my life in Salt Lake City, you can imagine that I tended to dress on the conservative side, and I was, so to speak, fresh off the boat. I looked like a porcelain-skinned Christmas doll when I arrived for the first time in Harlem. I was the only white person I saw for blocks. I came upon what I thought was the next bus stop. I stood faithfully by the sign when I started to notice something strange—there was no one else at the bus stop. I saw a bus nearby, but not near the bus stop when a nice young man and his girlfriend called, “Miss, Miss, not there! Get the bus here!” He asked the bus driver to wait, ran over and helped me with my empty suitcase, and helped me onto the bus toward La Guardia. These are the strange, unwritten rules that a native doesn’t know; you don’t catch the bus at the bus stop, but somewhat away from the bus stop. I made it to La Guardia, and picked up my things my brother-in-law had left for me. Near the check-in counter was a beautiful, blonde man with a slight Southern accent. He started to chat with me when he was notified by the airline employee that he would not be making his flight. It was after this bad news, that he became decidedly friendlier, putting his arm around me and pouring on the charm. At first I was flattered, but as soon as my brother-in-law called to make sure that I picked up my things, and Prince Charming heard me say my brother-in-law’s, name “Patrick,” he was gone. It was then that it dawned on me that Prince Charming simply wanted a free place to stay and company for night; because of this, he was easily scared away . . .
Let me just start out by saying that New Jersey gets a bad rap. In an American history class in college, I learned that part of the reason this all started was that across the Hudson River from New York City, there was a pig farm in New Jersey that stunk to high heaven, and when the wind blew just right, the good people of New York City also got a whiff of what the pigs had to offer. Regardless of what the pigs had to offer centuries ago, New Jersey is beautiful. 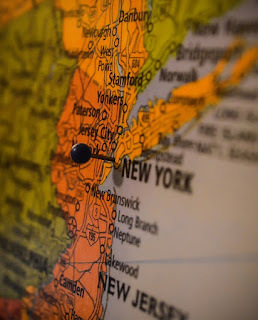 Known as The Garden State, it is not only physically stunning, but some of the most gentrified folk and old money in the United States are in New Jersey. This is where I spent some of my time. My old boyfriend, “J” taught at a liberal arts college next to an idyllic forest and across from an old-money estate. What could possibly wrong? One might think. Somehow I not only had boyfriend trouble, but also travel trouble on the way to and from the Newark Airport not far from Manhattan. It was Christmastime after 9/11 and I was glad to be flying to Salt Lake to see my family. I faithfully gave myself as much time as I thought I needed to get to the Newark Airport and boarded the bus. The traffic was horrendous, and I missed my flight to Salt Lake. When I told my sister Carolee, she simply laughed and said, “That is so you. 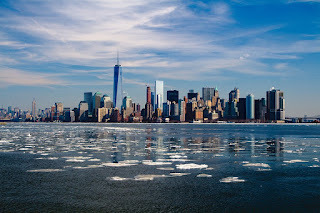 These things always seem to happen to you.” Undeterred, I took a bus back to Manhattan and then headed again to Newark the next day. This time I made my flight, and spent Christmas in Salt Lake. Because of the recent events of 9/11, security was tight everywhere. When I was in the Salt Lake airport, security asked me a few questions and brought me to the front of the line. “You must be on some security list,” the guard said frankly. Though I was questioned a bit, the good part was that they waved me on through when they were done; I had bypassed most of the line. One would think that after that most of my travel troubles would be over. Not true. After I flew into Newark, my boyfriend, “K” (“J”, “K”, “L” . . . there were far too many boyfriends until I met my husband, “Deke”) was late picking me up, and I began to panic. We were at the do-or-die stage of the relationship and I feared that in my absence “die” had won out (It was “die” three weeks later—splat—dropped from the 42nd floor of a Manhattan skyscraper). He arrived late, and back we went on the bus to Manhattan. We were about halfway home, when we heard a siren. The New Jersey Highway Patrol had pulled over the bus driver! I had never even seen that. One thinks of bus drivers as being so careful and good at their craft. Apparently, he had committed some minor traffic violation (the New Jersey police were notorious for pulling over vehicles with New York license plates). We were sitting on the side of the freeway for a while when we heard the officer return. Apparently, there was also some sort of licensing problem with the driver. The officer dressed down the driver and his company then left for a long time. The passengers began to get restless. A man stood up and said, “What the hell is this? We all have things to do!” A child began to cry—not whimper—but cry so loudly it nearly shook the bus. “Oh please,” responded the mother. By this time there was a veritable chorus of complaints directed both at the bus driver and the mother. “K” closed his eyes and appeared to be going into a Zen-like state to deal with the situation. I wish he would have done that more in general—it would have helped the relationship a lot. After about forty-five minutes, the officer returned with a citation for the driver, and finally we were on our way. I went on to miss another flight from JFK to Florida, and barely made two overseas flights. When you travel to New York, please give yourself plenty of time to make your flight—more than you’ll ever think you’ll need. 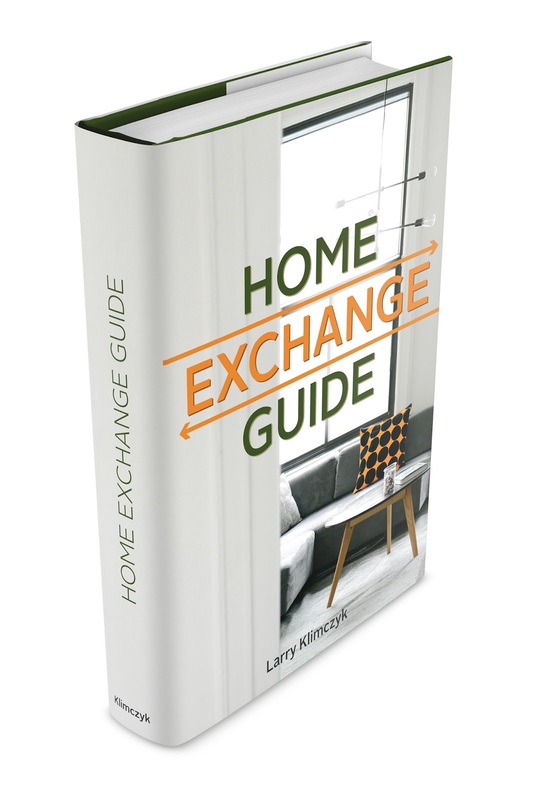 While International Vacation Home Exchange can’t foresee every travel mishap you may have, they can help you find the perfect luxury exchange home. See how this works, and read testimonials. Join me for my next installment of Travel Tales of Travail when I discuss delayed and lost luggage.